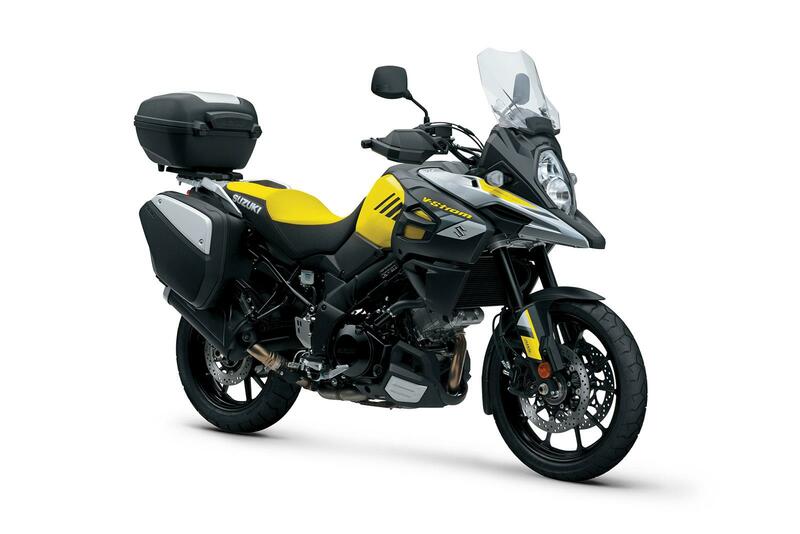 Suzuki are making it easier to smash out those epic trips by producing GT versions of the bikes in their mile-munching V-Strom 650 and 1000 range. 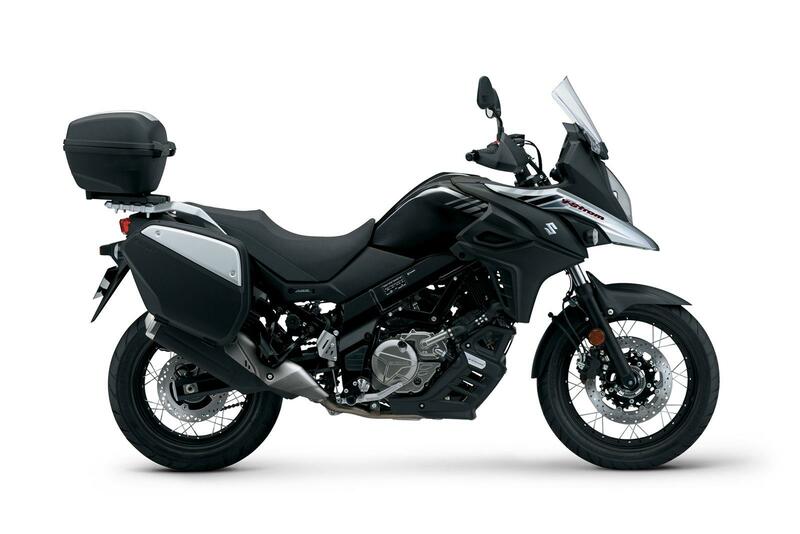 Essentially, the biggest difference between the GT variants and the standard machines will be the spacious 64 litre luggage capacity thanks to the addition of panniers and a top box, both of which will be included on the GT machines. Adding to this will be new bodywork that calls to the glory-days of the DR-Z and DR-Big motorcycles. A 1kg weight reduction will also accompany the new machines, as will a handy 12v socket as standard. 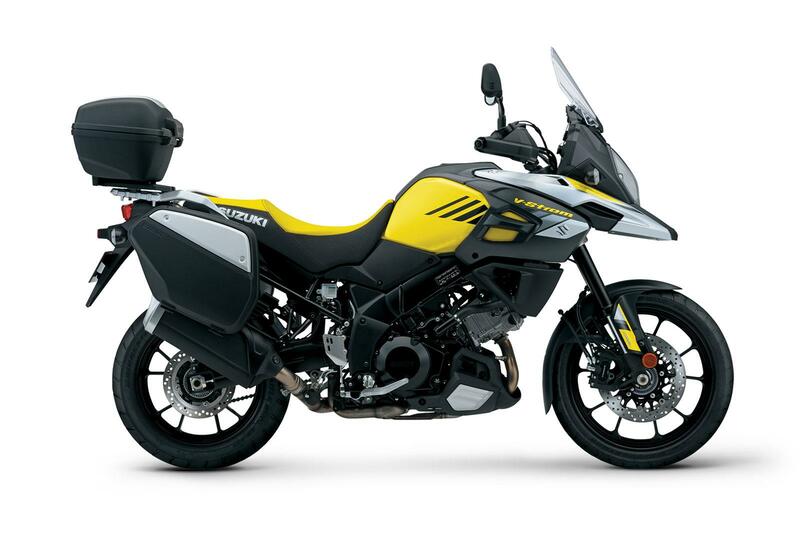 All of the V-Strom machines in Suzuki’s range will be available as a GT model – including the off-road focussed XT models, with the price of the bikes being £1000 more than their standard counterparts. New heated grips will also feature as an additional optional accessory. 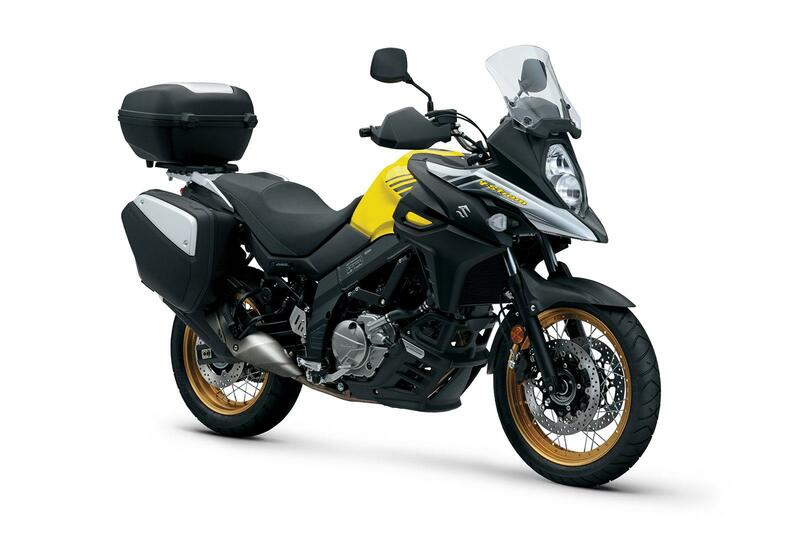 The V-Strom range got an overhaul for 2017, with revisions to both the 650 and 1000 models to bring them up to date with Euro 4 emission and noise regulations. MCN’s BSB Reporter, Oli Rushby has been living with the V-Strom 650 XT this year as his long-term test machine, you can find his thoughts on the bike and see how he’s been getting on with it on the MCN Fleet page. 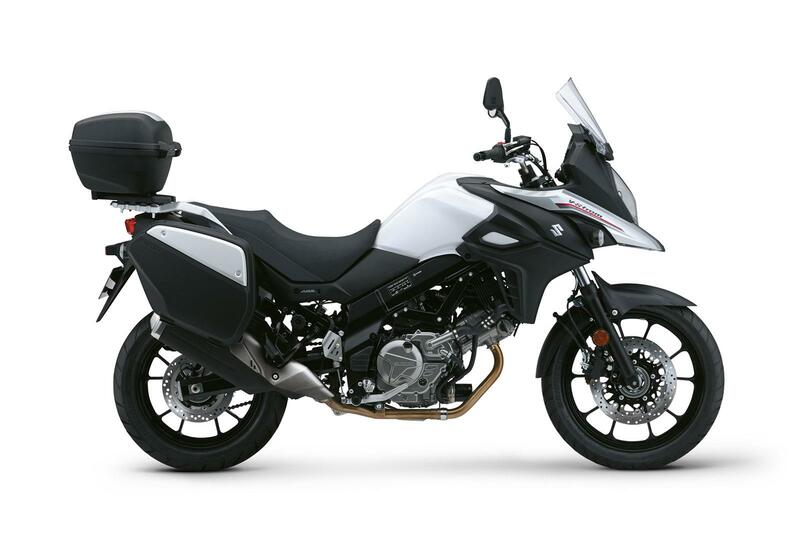 The V-Strom 650 GT will come with an attached price-tag of £8,399, with the 650X GT available with laced wheels, hand guards and a bash plate and the GT extras for £8,899. 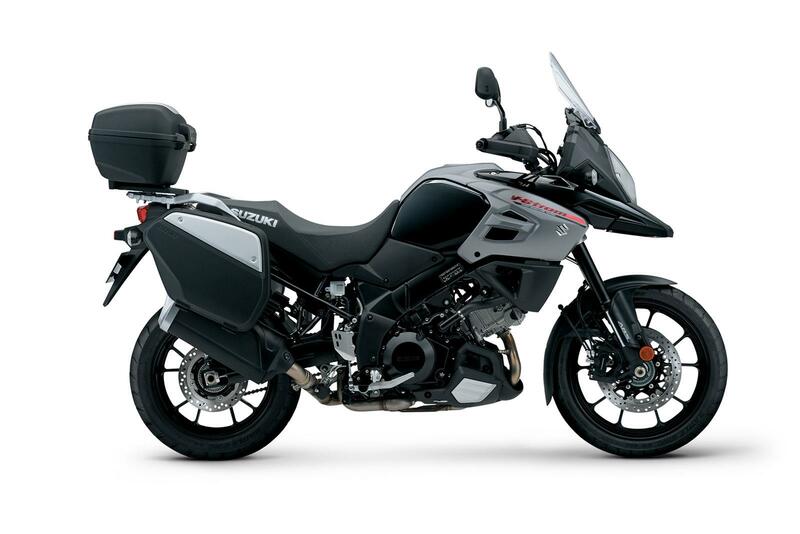 The 650’s bigger brother, the V-Strom 1000 GT, will come with an RRP of £10,499. While the flagship model will be the V-Strom 1000X GT, which can be ridden away for £10,999. The GT models are available now. Contact your nearest Suzuki dealership for more information.